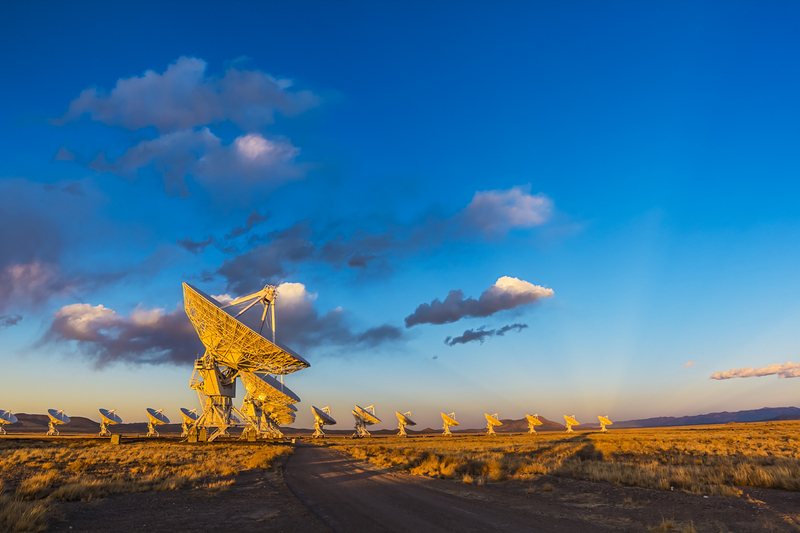 The photogenic dishes of the Very Large Array aim skywards as the setting Sun casts shadows across the sky. If these were optical telescopes I could write that the telescopes were getting ready for a night of sky viewing. But radio telescopes can observe day and night. Still, there is something magical about catching any type of telescope in action as the Sun sets and night falls. Here, the last beams of sunlight coming from the west illuminate the dishes, while dark shadows – crepuscular rays – cast by clouds converge toward the anti-Sun point in the east. As part of my trek around New Mexico this past week, I shot this on Sunday, March 17, about an hour before I took the image of Comet PANSTARRS over the VLA dishes – for that image I was east of the array looking back to the west and to the comet. But for this image I was at one of the public access areas, standing under one of the dishes, looking east. At first, all the dishes were aimed up to the zenith, stowed I assume due to the high winds that were blowing all afternoon. But then, right on cue as I began shooting, all the dishes began to move in unison. The dishes first aimed toward me, then turned to aim up to the south, as here. It was an amazing dance to watch. It gave me goosebumps. And tears. 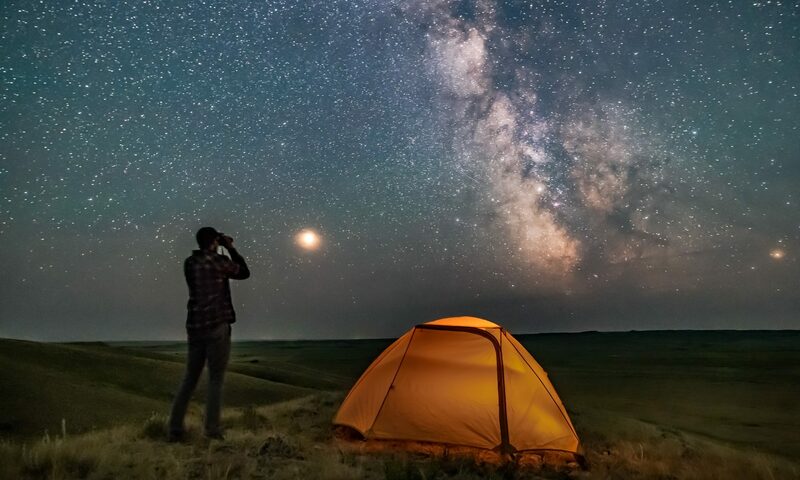 There is likely no more iconic image of our exploration of the universe from Earth than this array of antennas listening for the faintest signals from deep space – not alien radio programs, but the natural signals emitted by atoms and molecules where stars are forming and dying. Beautiful photo, awesome colours – the golden yellow dishes against the blue of the sky are wonderful. Out of interest, how do you process your photos? Just curious as you have some very rich colours – so was wondering how you achieve it without your photos looking garish. Regards from the UK, Julian. Hi — I use Adobe Camera Raw to do most of the processing — Vibrance and Clarity help plus the Highlight and Shadow recovery sliders. That’s great, thank you for letting me know.